Basseterre, St. Kitts, July 28, 2016 (SKNIS): Prime Minister of St. Kitts and Nevis, Dr. the Honourable Timothy Harris, has vowed to defend his tri-partite Government of National Unity that is under two years in office against those who make false and malicious statements intended to harm its reputation. 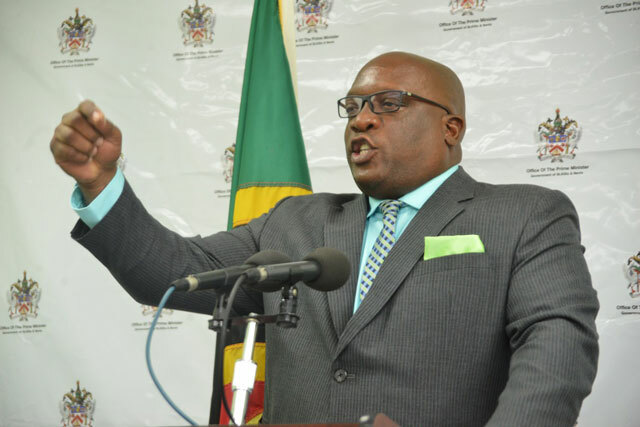 Speaking to calumniators of his administration, Prime Minister Harris said that his government has been given a clear five year mandate by the people and that this mandate will not be derailed nor dictated to by those intent on undermining the government with calculated plots. “Some will like it and some may not like it; that is left to the political marketplace but when the test of time will come people will judge me for having done what we could do and I would have done it passionately because that is who I am, passionate in nature. I believe in it and once I believe in it, I will give it my all,” Dr. Harris added. Prime Minister Harris said that some people want to criticize but yet do not want to hear the response to their criticism. “My humility, my love for the people, my passion for those things in which I believe—and passion has to be expressed—is an important attribute of (my) leadership,” Prime Minister Harris said. “I will always be passionate about the people’s business and I am not going to be weary by the propagandists,” he added.